Lets make a statement to Apple about truly selling DRM free music! iTunes Plus is a joke and Apple's once great monopoly on digital music distribution is in trouble. 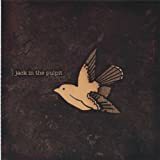 Help support indie band Jack in the Pulpit and send a message to the folks Cupertino that we want all the music in iTunes without DRM!